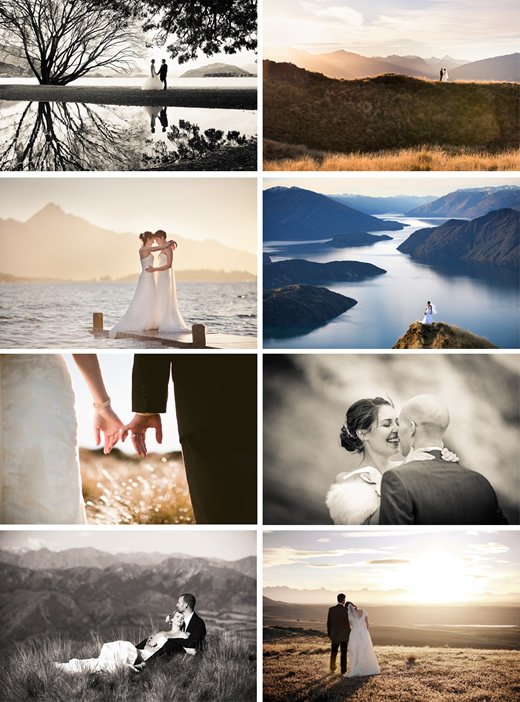 Alpine Image Co. is the most awarded wedding photography studio in Queenstown and Wanaka. We were completely shocked (but very happy!) to be awarded the highest mark possible – Gold with Distinction – for our wedding photography at the 2013 national NZIPP awards. Our style is clean and modern, combining natural candid shots with beautiful images set against the stunning landscapes of Central Otago. Our work is regularly featured in national and international wedding magazines and blogs. “Alpine Image Co. was an absolute joy to deal with in the lead up to, on the big day and the days after the wedding. Your enthusiasm is infectious, your professionalism unfaltering, and your photography is stunningly beautiful. When photographs of the ‘day’, the ‘moment,’ and the ‘look’ evoke the same emotion you were feeling at that particular time, you have completely nailed your job as wedding photographer.